We’re not talking stronger like winning the local bench press competition; we’re talking stronger as in being able to run faster, jump higher, swing harder, twist, push and pull more than ever. More strength means more performance and less physical injury. 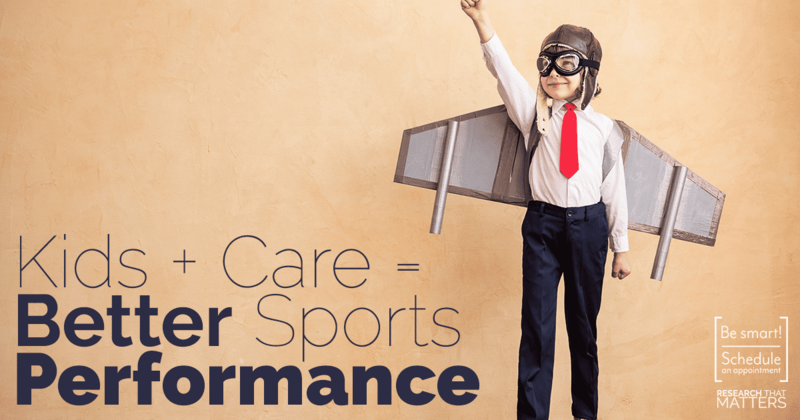 Kids, sports, and Chiropractic care: a perfect team. Strength, flexibility, and endurance have been linked to injury prevention. Adjustments have been shown to increase strength and spinal range of motion. Nearly every top sports team utilizes Chiropractic to keep their athletes performing their best. Share the love. Now that you know our care is for more than just headaches, neck and back pain, you can know you’re making a smart decision to bring your kids in so we can help them perform their very best.